Meetings typically include speeches, PowerPoint® presentations and, if you're lucky, a flip chart. The result is a lot of words. Our solution? Make meetings more visual. You need employees to brainstorm or collaborate. 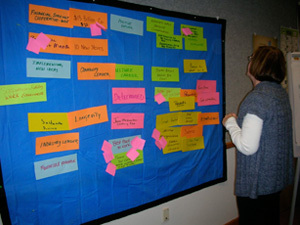 Post ideas on a wall: Using wall space to post ideas, lists or other materials helps people connect with the content more readily. Example: One group wanted to brainstorm ideas for a trivia game about the company's history. Using The Magic Board Facilitation Kit™, which includes a nylon sheet coated with adhesive so that paper sticks to it, meeting attendees posted trivia questions in different categories, creating the game board along the way. improve a process. Map it out: Seeing a process laid out visually helps people understand where they—and others—fit in. Example: Meeting organizers wanted participants to understand relationships in a long, linear process. Teams created posters describing what their function does. 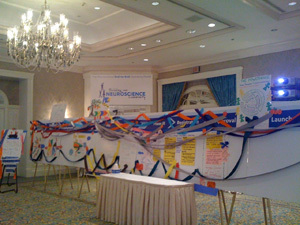 Each team then attached its poster to a larger display and used ribbon to show how its part of the process connects with other parts. You want employees to agree on an approach or develop a solution to a problem. 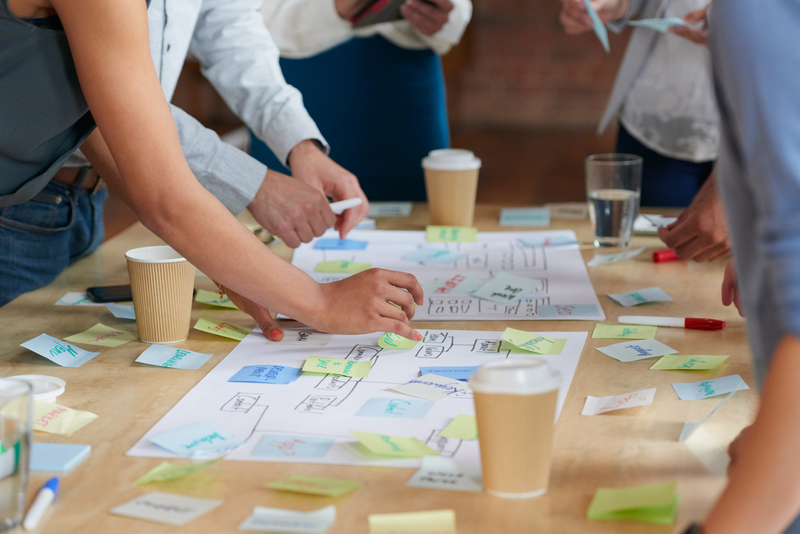 Outline the solution: Asking participants to create posters that summarize solutions or best practices increases dialogue and builds knowledge. 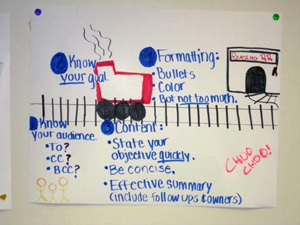 Example: Participants attended a meeting to help them improve their writing. Using basic art supplies, teams created posters displaying the elements of good writing. Each team then explained its poster to the group.